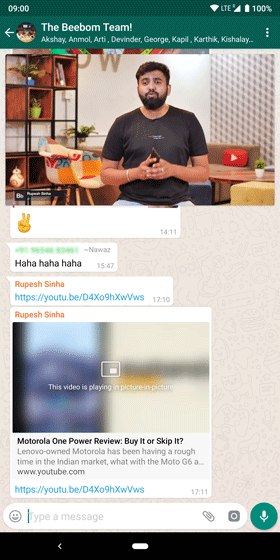 WhatsApp has finally started rolling out ‘Picture in Picture (PiP) mode’ for viewing videos shared from select platforms, for all Android beta users running Android 4.4 and above. The feature will likely to be graduated to the stable app after a period of testing in the beta version. According to WABetaInfo, the PiP feature is being introduced for all Android beta users that would allow users to play videos hosted on platforms such as YouTube, Facebook, Instagram and Streamable right within WhatsApp, without opening a separate app or browser window. It also doesn’t need you to turn any settings on. PiP lets the user watch videos in a small window pinned to the screen while navigating through other apps. In WhatsApp, the feature shows up within the chat window with a label on the chat indicating that the video is in PiP mode. When you receive a YouTube, Instagram, or Facebook video from a contact, you can tap on the play button to expand the video and confine it to the top of the chat window. You can expand the video to a full-screen or swipe it away to close it. You can also move it around and pause or resume the video just like you would when using it on a PC for example. You also get a link to open the video in the right app – depending on its source. The best part is you can comment about the video in the chat window as both the video and chat remain active. Interestingly, when you copy and paste a YouTube link, WhatsApp does not let you go into PiP mode, but opens the video in the YouTube app. You have to use the Android share menu and share the video directly to WhatsApp for PiP to work, instead of just copying the YouTube link. Those using WhatsApp beta on Android may need to clear cache and app data for the feature to become active. Of course, it’s always a good idea to back up your chats before doing so. 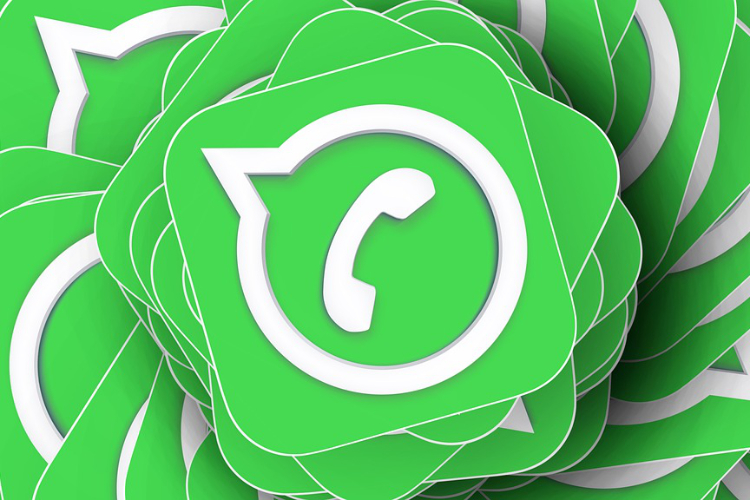 Users need to update WhatsApp version to the 2.18.301 Android beta update to use the new PiP mode. WhatsApp has already implemented the feature on its iOS app and it is expected to be introduced for all Android users soon. The PiP feature was rolled out in January for iOS users.